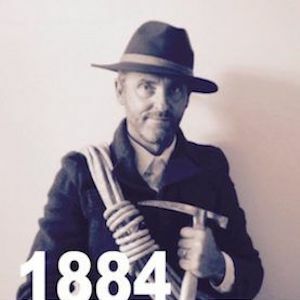 I born in Bolzano, the centre of the Dolomites, the 9 july 1963. This is the original town of my family. 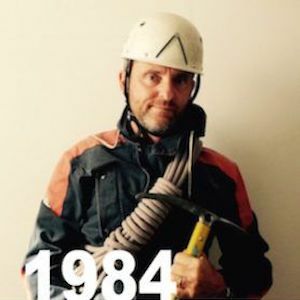 I began climbing at a early age (14 years old) in more of 30 years of climbing I have ascended more of thousand different routes in the Dolomites, my home mountains, and in the rest of the world. My experience was extended with winter ascensions and “free-solo” climbs and the opening of 12 new difficult climbing routes in the central and eastern Dolomites. I have written 3 climbing books about the not-classical climbing routes of the Dolomites, which I’m very well known to the italian public. The subject of these guides is the rediscovering of the forgotten historical climbing routes in the wild areas. Another of my books (Porfidi Perfidi – Pareti Editions 2000) talks about sport climbing in the surroundings of Bolzano and the last one (Ski-mountaineering in Tyrol – Versante Sud Editions) it’s about ski mountaineering in Tyrol. What is my next objective? Accompany, you and your friends/family, in the discover of the most authentic corners of the Dolomites, in rock and ice climbing, via ferrata, trekking or ski-mountaineering. With my 30 years of experience of the touristic reality in Italy, I can help you in any aspect of your travel in Italy. For this reason: write me your questions about you travel organization. 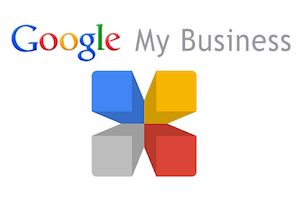 I can help you with many local finalizated informations. For this reason I founded “Via Ferrata Dolomites”, the first webpage completely dedicated to hikers, climbers, skiers and mountaineers who want to visit the via ferrata of the Dolomites. 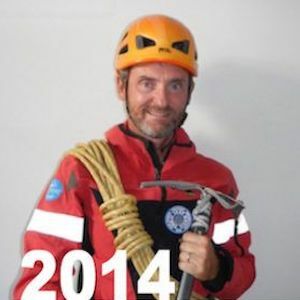 I’m I.F.M.G.A Dolomites mountain guide (international licence), webmaster, marketing manager and unique administrator of my activity. All in one! I’m ready to work at your “personal program” because this is my filosophy of work. This is my first book! It’s a selected collection of forgotten and historical climbing routes in the wilder areas of the Dolomites. This is a guide book for local and experienced climbers with a good skill of friable rock and big walls. This is my second book! The logical continuation of the first. Here you find many others no-classical routes in isolated areas of the Dolomites mountains. This is my third book! The logical continuation of the first and second, one other selection of “exclusive” and difficult rock climbing routes. With this little book I introduce the rock climbing around Bolzano. Sport climbing and trad-climbing routes, all on the typical brown “Porfir” rock. This is my last book! A extended selection of ski-mountaineering tour in the nord Tyrol region (aroud Innsbruck Austria). This fantastic area is only 45 minutes by car from my home and the ski-mountaineering possibilities are infinite!